Shaping of Internal and External Gears - Kimberly Gear and Spline, Inc.
Kimberly Gear offers shaping of Internal and External Gears, Helical Gears, Splines & Crown Splines. Shaping produces a series of straight line cuts parallel to the axis of the gear. This process can be used for both internal & external gears and can cut up to a shoulder with very little clearance. 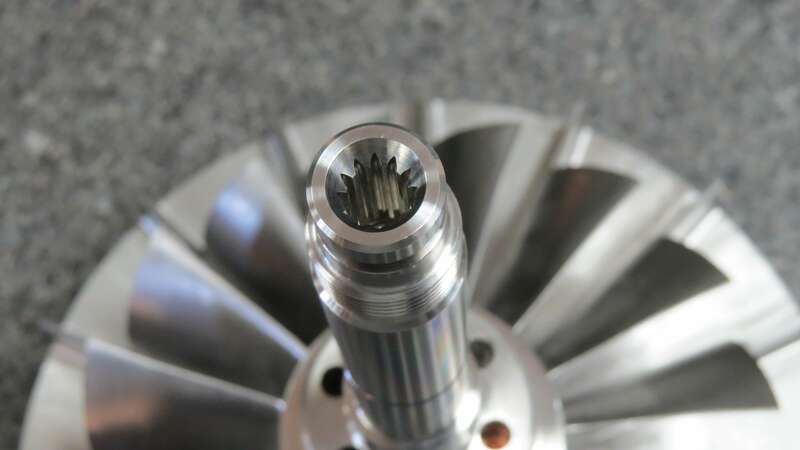 Gear shaping is a machining process for creating teeth on a gear. It is a convenient and versatile method of gear cutting. It involves continuous, same-plane rotational cutting of a gear. The types of cutters used for gear shaping can be grouped into four categories: disk, hub, shank, and helical cutters. The cutters are essentially gears that are used to form the teeth. This method of gear cutting is based on the principle that any two gears will mesh if they are of the same pitch, proper helix angle, and proper tooth depth and thickness. The process of gear shaping uses a toothed disk cutter which reciprocates in axial rotations. The workpiece rotates on a spindle. The workpiece is aligned with the cutter and it gradually feeds into the cutter while rotating. Machines generally consists of a base, column spindle, and an arbor. The gear cutter is mounted on the spindle, and the gear blank is mounted on the arbor. The cutter reciprocates up and down while the workpiece is gradually fed into the cutter. At the end of each cutting rotation, the spindle is retracted slightly to discourage any more cutting into the newly cut gear teeth.